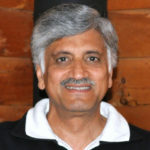 Jit Bajpai is an Adjunct Faculty at the Earth Institute of Columbia University, New York since 2011, and a consultant dealing with urban infrastructure and sustainability planning. Prior to his current position he was Director at the World Bank where he served for twenty years in various positions including the management of Transport sector operations in East Asia and Pacific Region (EAP) and later regional operations as an Advisor to the EAP Vice-President. In addition he lead one of the largest IT modernization efforts undertaken by the Bank, Operations and Knowledge Systems Program, in support of the Bank’s internal reforms covering operational process, knowledge management and access to information. Before his World Bank career Jit worked with several firms dealing with transport and urban issues including COMSIS (US), RATP (Paris, France), Atkins & Das (India), Ministry of Works & Housing (India), and between 1981 and 83 he was Assistance Professor at the Indian Institute of Technology (IIT) – Bombay. He is a member of the Advisory Board on Future of Urban Development for the World Economic Forum, and has recently served the Inter-American Development Bank and the Rwanda Government under the sponsorship of International Growth Center. He is a Fellow of the Johns Hopkins University, holds a doctorate degree from the University of Paris, and completed an executive management program at the Harvard Business School. As the Treasurer of his family foundation (DeFries-Bajpai Foundation) Jit promotes science for sustainable development. Jitendra Bajpai of Columbia University outlines the 3 major accessibility problems facing cities in developing countries and policy ideas for how to overcome them.